For most of its runtime, “The Queen’s Justice” is basically “Cersei’s Revenge, Part the Nth.” Following the unfortunate “incident” at the Sept Of Baelor, the self-appointed ruler of Westeros looks well on her way to bringing the rest of the seven kingdoms to heel: in one fell swoop, she takes out what’s left of House Tyrell and renders Dorne a non-entity (to the delight of many who felt the series squandered a storyline once made promising by Pedro Pascal’s Oberyn Martell). Ever the multitasker, Cersei even manages to refill her coffers with Tyrell gold, which she plans to use to ensure the Lannisters continue to pay their debts. Her windfall also means she can hire The Golden Company, which is only the largest, most skilled group of sellswords in all the Free Cities. But as it turns out, she doesn’t need any additional mercenaries to deprive Daenerys of her newfound allies, the Tyrells and Sandsnakes; she just makes a pawn sacrifice out of Casterly Rock. Cersei displays great cunning this episode, as she has for much of the series. She’s playing the game of thrones like she wrote the rules, neutralizing enemies when she’s not outright vanquishing them. But Cersei is as motivated by a hunger for power as she is something more personal: vengeance for her daughter Myrcella, who was poisoned by Ellaria Sand. As she delivers Cersei’s rumination on comeuppance, Lena Headey is a tower of righteous anger, her hushed tones striking great fear in Ellaria and Tyene. Cersei knows just how to wring the most pleasure from the moment for herself while inflicting the most pain—by the time she finally walks away from a devastated Ellaria and a doomed Tyene, the audience is as close to collapsing as the two Dornish women. 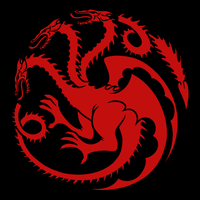 There’s no question that Cersei deals a great blow to her enemies in “The Queen’s Justice,” even as the title of queen could apply to multiple characters in the episode, including Daenerys, who plans to become Queen of the Andals but will take Queen of Meereen for now, and Sansa, who’s effectively Queen in the North while Jon goes digging for dragonglass. There’s also the Queen of Thorns herself, Olenna Tyrell. 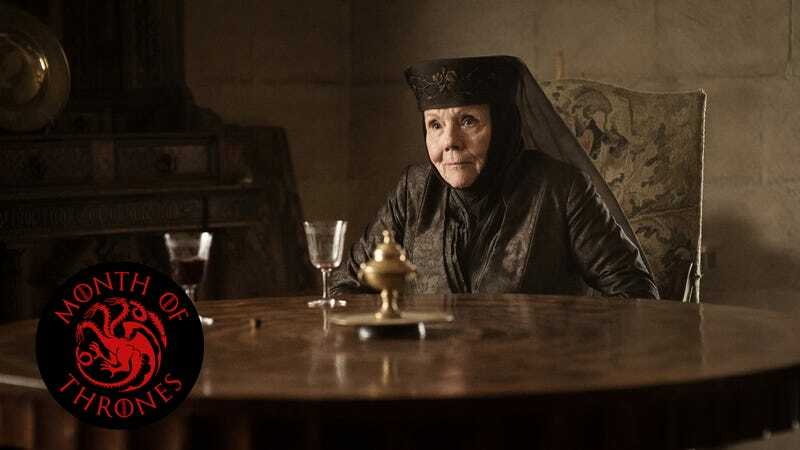 Even after Jaime Lannister gets his gold hand on her gold, Lady Olenna’s demeanor barely changes—she is imperious and withering until the very end. Jaime says nothing because there’s nothing to say—Olenna’s done her damage and the damage has also been done to her. He can’t kill her again, but knowing that Lady Olenna is the one responsible for Joffrey’s death, which created a rift in his relationship with Cersei, is like losing his horrible son all over again. When he shares the revelation with Cersei later, she initially refuses to believe it, but like it or not, the Queen Of Thorns got in one last dig before meeting her end. Speaking of humbled, Daenerys wants Jon to take the knee upon meeting him, which he refuses to do. But she does decide to let him have all the obsidian he wants, because it’ll mean he’ll be too busy to bother her with stories of the Night King. Cersei accepts Euron’s second proposal and appoints him leader of the Crown’s navy. After being reunited, Bran says weird things to Sansa as she tries to prepare for the fast-approaching winter. Littlefinger is still doing his best to poison Sansa against everyone but him. Oh, and Theon is rescued, grudgingly, by his countrymen; Melisandre sails for Volantis; and Sam cures Jorah of his greyscale.